poeNullEffects is a standalone GUI program. 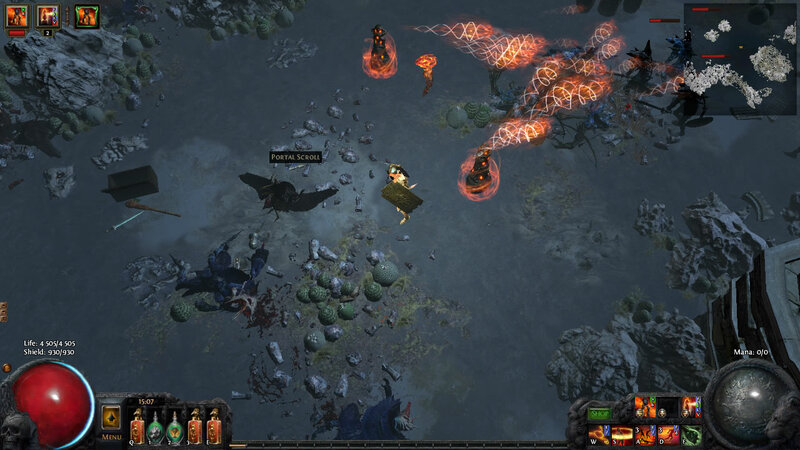 It can disable effects in any version of Path of Exile. (click here to read poeNullParticles description) (old). poeNullParticles (download) - program. Creates null particle files for Path of Exile. 1. 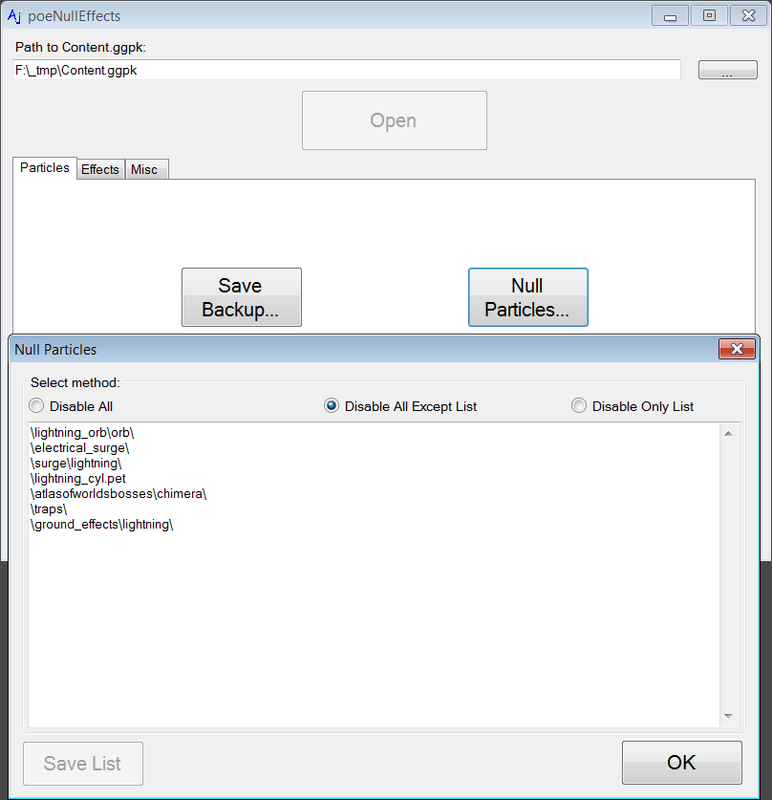 Export particle files from Content.ggpk using VisualGGPK. Atm it's "Metadata" folder. 2. Put poeNullParticles app near "Metadata" folder. 3. Launch once, wait "End" message. Warning: It removes all particles from the game. Don't forget to make backup (i.e. copy .ggpk) if you want. 4. Import created "nullParticles\Metadata" folder into Content.ggpk using VisualGGPK (just drag'n'drop "Metadata" folder).